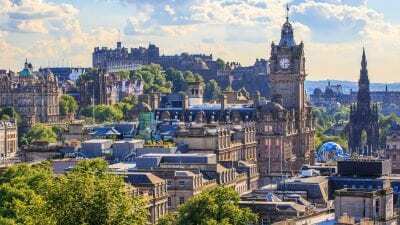 A special radio industry event which will take place in Edinburgh on Thursday 15 March was announced today by Digital Radio UK and the Radio Academy Scotland. The free event, entitled 'This Is Radio', takes place at The Place Hotel in Edinburgh, and will look at radio's future in Scotland and the Edinburgh area, featuring speakers from leading radio broadcasters in Scotland - BBC Radio Scotland, Bauer and News Scotland. The event will be hosted by Stuart Barrie, Chair of Radio Academy Scotland and speakers will provide updates on radio listening trends, new digital content strategies, new station launches and new devices such as voice-connected audio. Confirmed speakers include Gareth Hydes Commissioning Editor Radio, Music and Events BBC Radio Scotland and Graham Bryce, Group Managing Director of Bauer City Network. Additionally, Richard Bogie, General Manager, News Scotland and Carol Wyper, Marketing Manager, The Scottish Sun, will update on the three newly-launched Scottish Sun digital stations. Attendees will also hear about Edinburgh's radio history from inimitable radio historian, David Lloyd, and have the opportunity to participate in a Q&A panel session on the future of radio in Scotland. Edinburgh is a dynamic and iconic radio market with one of the highest levels of DAB radio ownership in the UK (63.3%) and where digital listening is just about 50% (49.9%). There are now over 60 digital stations available on DAB in the Edinburgh area, with over 20 stations broadcast locally including 5 recent additions - Go Radio, Rock Sport Radio, Scottish Sun Hits, Scottish Sun 80s and Scottish Sun Greatest Hits. Stuart Barrie, Radio Academy Scotland, Chair, said: "Radio is changing fast and we think for the better so it's great to have the opportunity to get the leading broadcasters in Scotland together to look at what's next for radio in Scotland. We look forward to seeing people from right across the industry at the Edinburgh event on 15 March - BBC commercial, community and student radio." Ford Ennals, CEO, Digital Radio UK, said: "Radio listening in Edinburgh is almost 50% digital and there are more stations available than ever so this seems like a great time to look forward to Scottish radio's digital future including a look at new stations, new distribution platforms and the impact that Amazon's Alexa is having. We have an amazing speaker line up and I think its going to be a lively and enjoyable evening. See you there."